Agriculture has a big chunk of contribution in the Indian Economy. About 50% of the Indian workforce is dependent on agriculture. Even though farming is the primary source of livelihood, the farmers face many difficulties these days. Counterfeit pesticides is another addon to their hardships. Counterfeiting in pesticides is a tremendous risk to crops, and the farmers face significant problems because of these counterfeit pesticides. Many farmers unknowingly harm/destroy their own crops by using fake pesticides. These counterfeit products are contaminated and usually contain hazardous ingredients. Repeated use of such products many times permanently damages the productivity of the soil. According to the study conducted by FICCI in 2015, 30% of the total volume of the pesticides were found to be counterfeit in the country. This percentage is expected to reach up to 40% by value by 2019. The study also revealed that Uttar Pradesh, Madhya Pradesh, Andhra Pradesh, Maharashtra, West Bengal, Haryana, Maharashtra, and Karnataka were the worst affected states. The figures are alarming and shocking and call for immediate corrective actions to be taken by the Agro-Chemicals Industry. These counterfeit pesticides not only harm a farmer’s crop and incur a financial loss, but they are also harmful in many other ways. These spurious products cause many airborne diseases, foodborne diseases, may decrease the farm’s yield and ultimately may make the farm barren. Many times the counterfeiters take the original product, dilute it and sell it in identical packing as the original. They usually lure the farmers by selling the fakes at the lower price. But these products cause more financial loss as the crop does not get the required dose of pesticides, needing the re-application of the pesticides, which also has ill-effects on the farmers’ health. 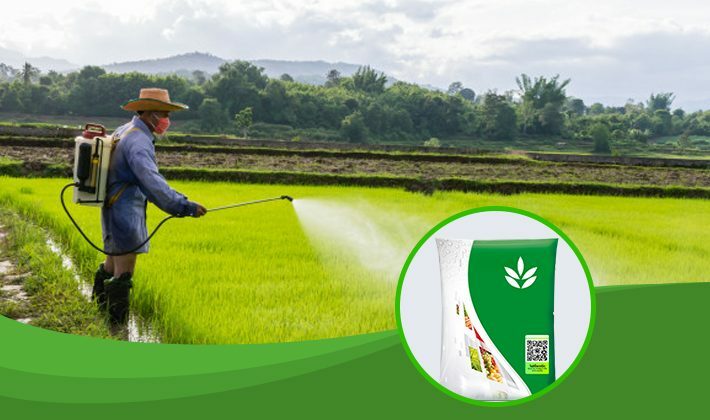 Counterfeiters target the Agro Chemical Industry, thinking that the large section of the farming community is poor and illiterate, so it would be a lot easier to sell counterfeit pesticides to them. But this scenario seems to be changing now. The literacy rate is improving, and most of the farmers are smartphone users. So they have lots of information on their fingertips. So the manufacturers can start using anti-counterfeit solution in which farmers can check the product’s genuineness using their mobile phones. Counterfeit pesticides usually enter the market through the retailers. So if the pesticide manufacturers start providing the farmers a way to verify the product authenticity, fake pesticides can be prevented to a great extent. Farmers can check the genuineness of the product before buying it. The responsibility of educating the farmers about the ill-effects of the spurious/counterfeit pesticides also comes to the manufacturers. Once the farmers know how cheaper fake products are harmful and bring more monetary loss, they will prefer to buy genuine products only. NeuroTags provides SMS-based and crypto tags based Anti-Counterfeit solution, with which farmers can easily check the product authenticity. The manufacturer can also share with farmers useful tips and other valuable information with the help of same NeuroTags solution.